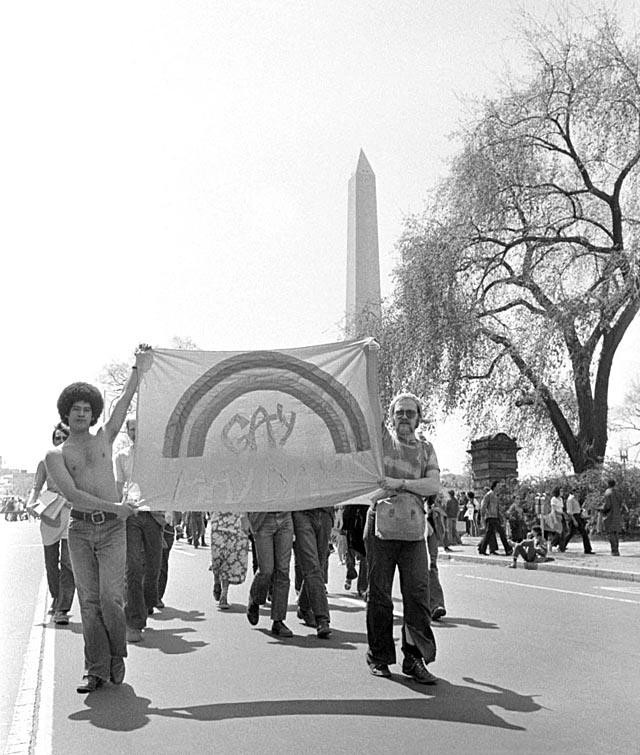 When the modern gay movement went public after the Stonewall Riot in New York, a new wave of activists arrived from the social periphery at first — from the ranks of sexual, political and cultural outlaws. 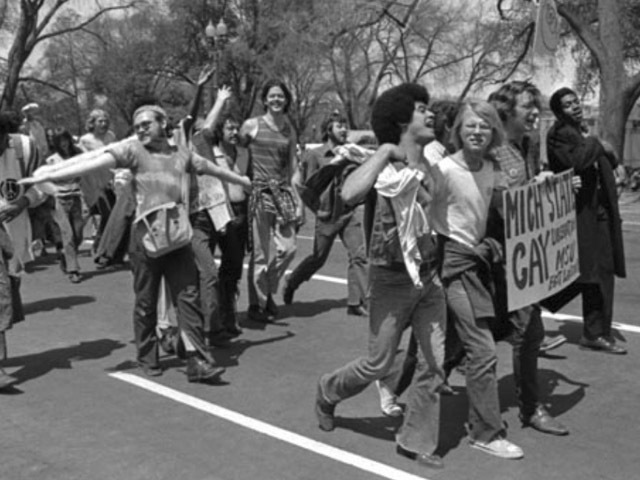 For instance, Washington’s small and short-lived Gay Liberation Front found common cause with the outcast critics of the Vietnam War. On April 24, 1971, D.C. GLF members joined the antiwar march organized by the Vietnam Veterans Against the War. The veterans’ week-long protest included guerrilla theater and congressional testimony, including future Secretary of State John Kerry’s condemnation of the war in a U.S. Senate hearing. Though they marched under a Michigan State banner, below, several activists were my college friends and fellow GLF members from D.C. Many of the GLF activists marching in 1971 were to die during the 1980s HIV epidemic, including Cade Ware, above, and Howard Grayson, below, and my friends David Aiken, Jim Lawrence and Anson Reinhart. Pictures from a peaceful GLF-DC field trip to a 19th-century river town, Harper’s Ferry, W.Va.